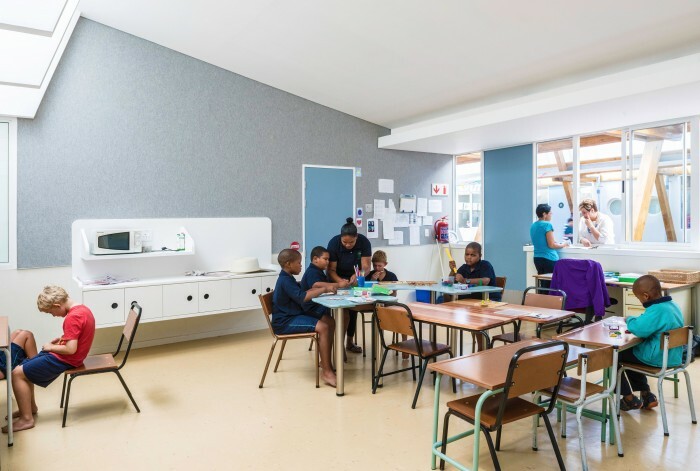 The Cheré Botha School was commissioned by the Provincial Government of the Western Cape for learners on the autism spectrum and with intellectual disabilities. The school will accommodate learners from the ages of 3 -18. In South Africa, many special educational needs schools are conglomerations of classrooms strung along a central corridor. 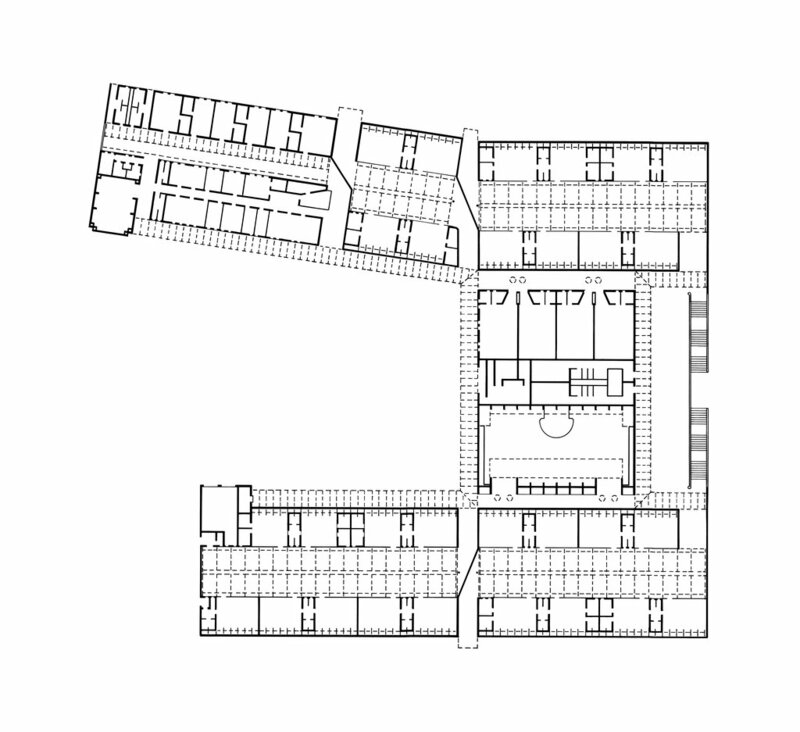 The need for enclosed corridors originate from the susceptibility of many of these learners to respiratory diseases. 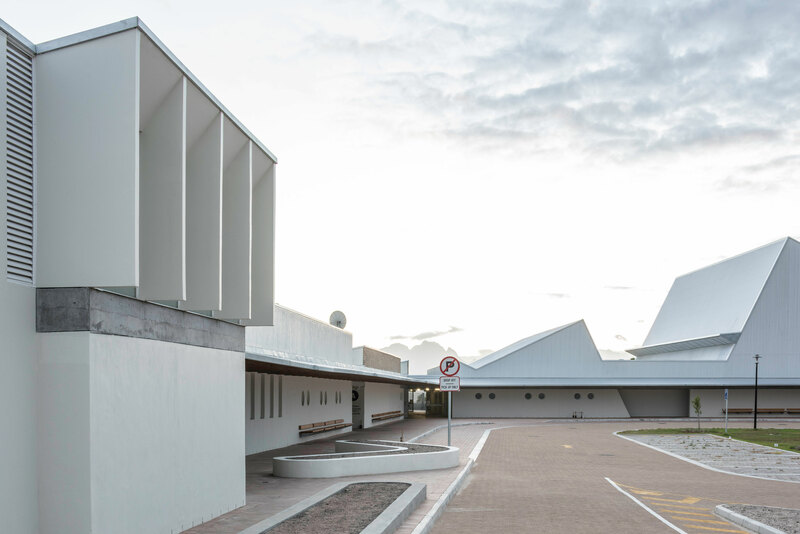 The persistent wind and winter rainfall of Cape Town makes open courtyard typologies inappropriate for this kind of school. The result then, is that no collectivity is established beyond the classroom. Although learners with autism and ones with intellectual disabilities are taught in separate classrooms it is mutually beneficial for the learners to play and interact together. The search for collective form therefore serves an educational and developmental purpose as well. 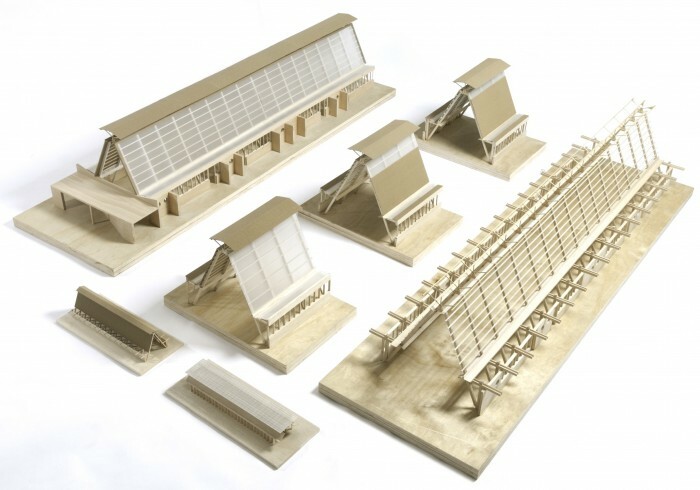 The horizontality of the canopy around the arrival court is contrasted with the verticality of the A-frame structures and the hall. 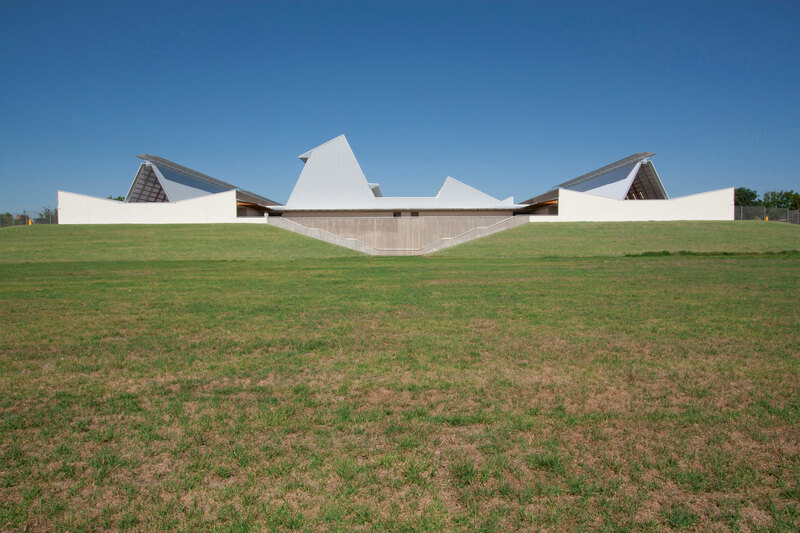 The sculptural volumes of the hall and workshops with its characteristic roof profile are the central moments of the architectural composition. These two volumes are clad in corrugated iron and rise like cumulus clouds from the datum of the canopy at their base. The interior of the hall is triangulated in section just like the A-framed spaces. 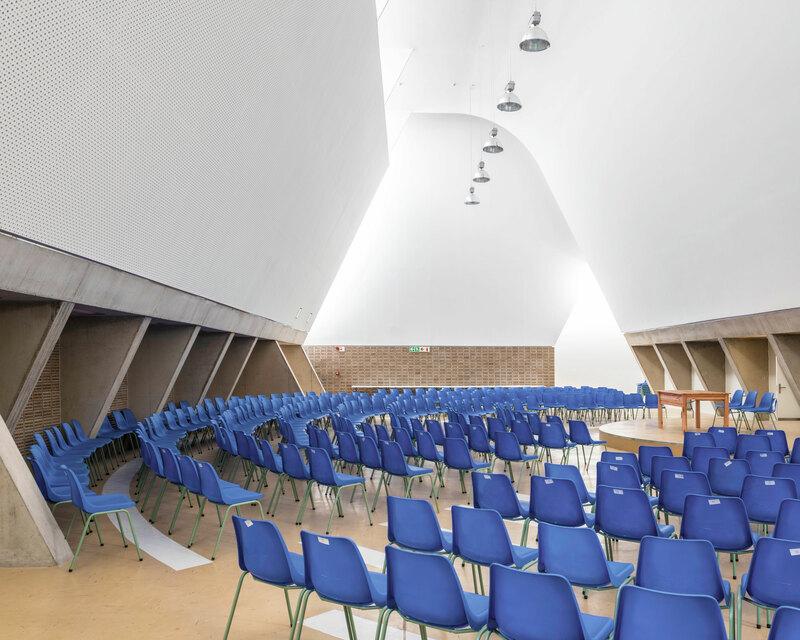 As another triangulated space, the hall becomes an exaggerated version of other collective forms. 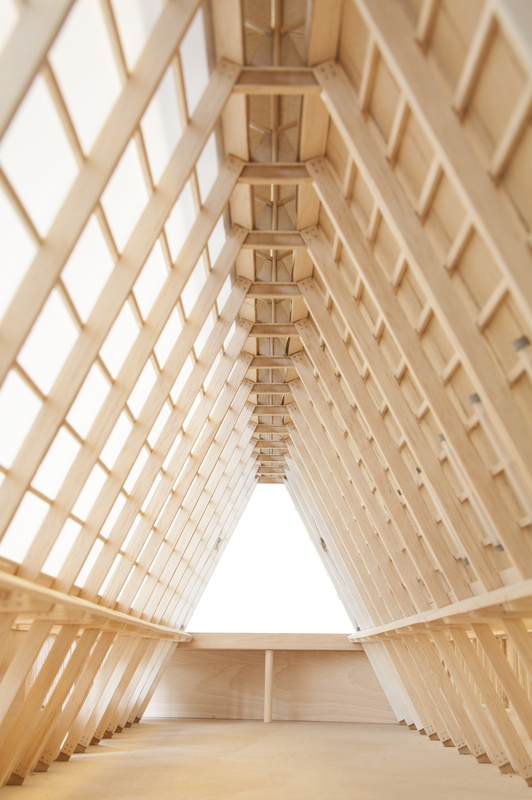 Openings for light are carefully arranged to ensure a low glare interior. 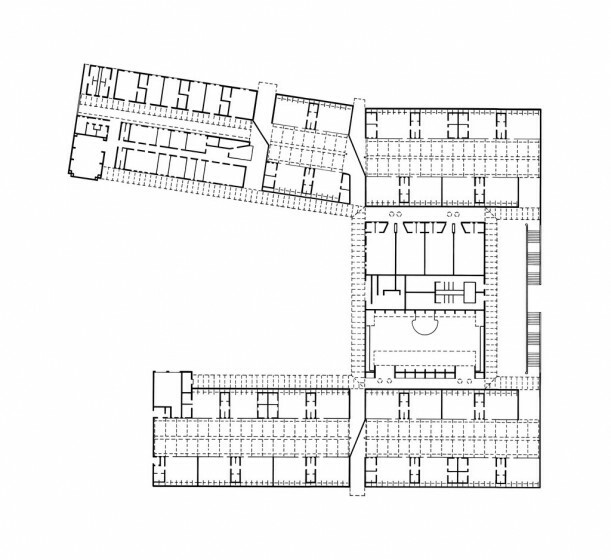 The architecture of this school engages with the speculations of Fumihiko Maki on the nature of collective form. 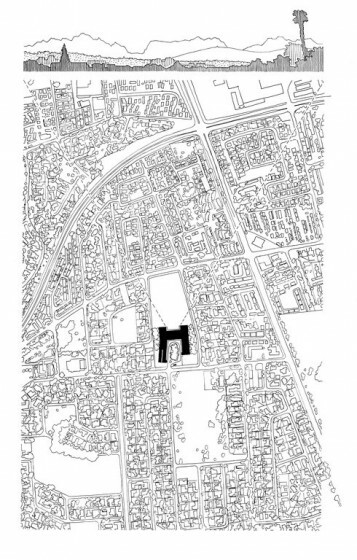 Maki’s speculations focused on the design of authentic urban patterns which respond to the lifestyle, terrain, urban economies and contemporary challenges of societies or urban districts. The character and coherence of villages which developed over long periods of time served for Maki as a benchmark of significant collective form at an urban scale. 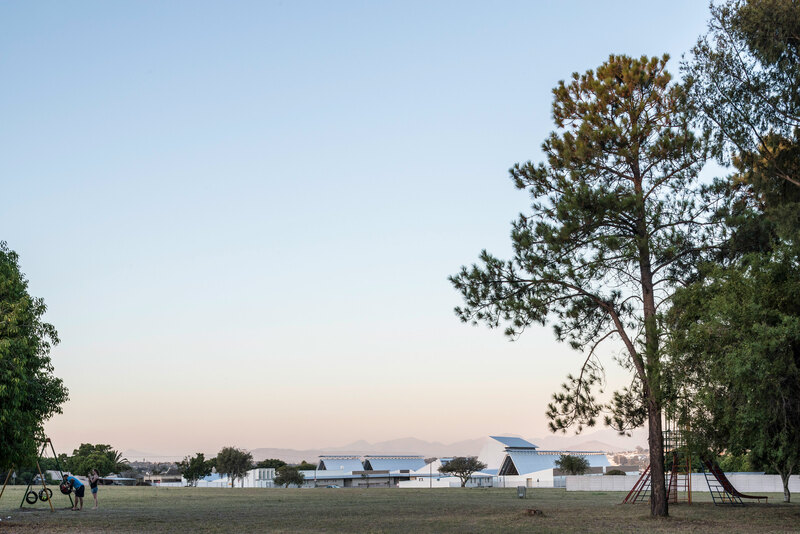 The school is divided into six sections: an administration building, four classroom blocks for learners and divided into various age groups and including one classroom block with the assembly hall, a kitchen and workshops. 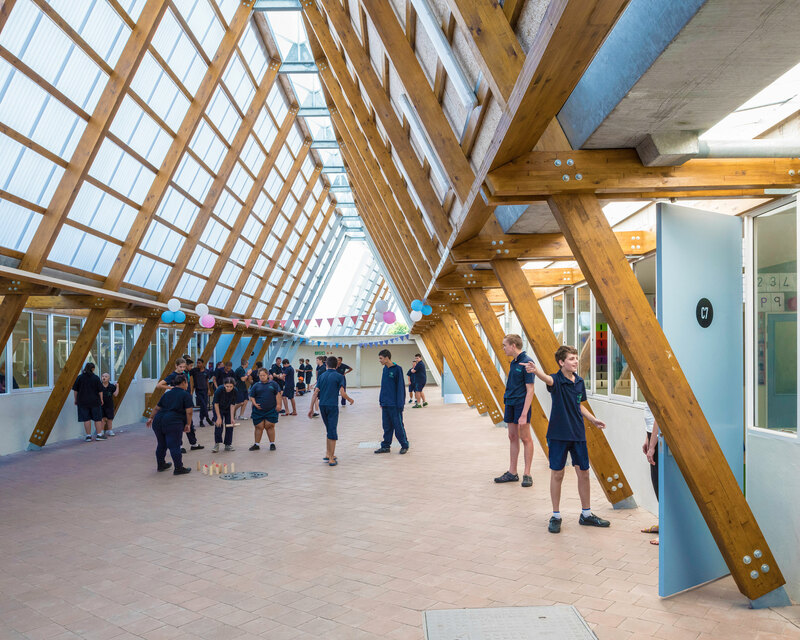 Each of the classroom blocks is designed around a shared space which is expressed through a timber A-frame, which we have conceptualised as the ‘super-form’. The A-frame ‘super-form’ is identical for every age group but the ground surface is occupied and programmed differently depending on its situation: the creche is filled with play equipment and soft surfaces, the junior sections with lines for walking and riding and in the senior section, vocational situations such as food production or hospitality are set up. 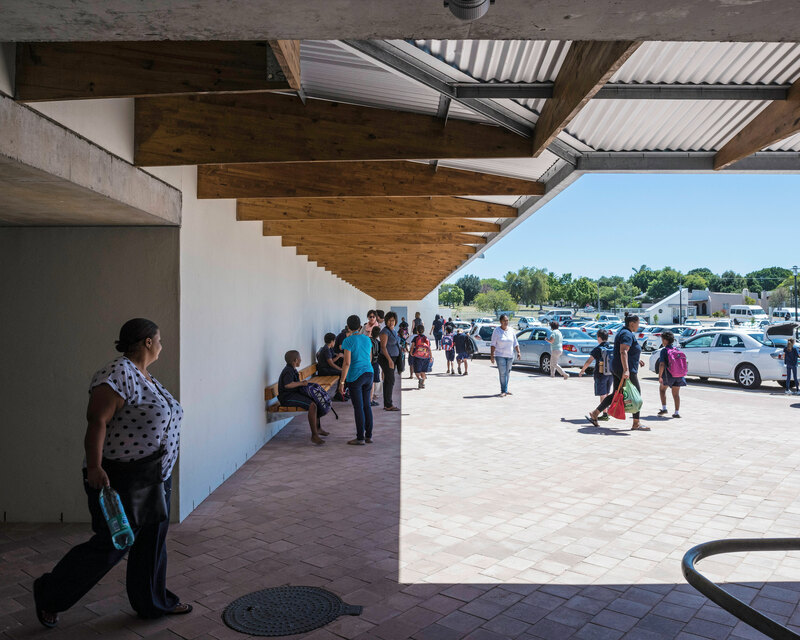 These roofed, outdoor spaces establish collective form as a series of social spaces at a scale between the classroom and the school as a whole. It allows learners to play and learn outside even in adverse weather conditions. 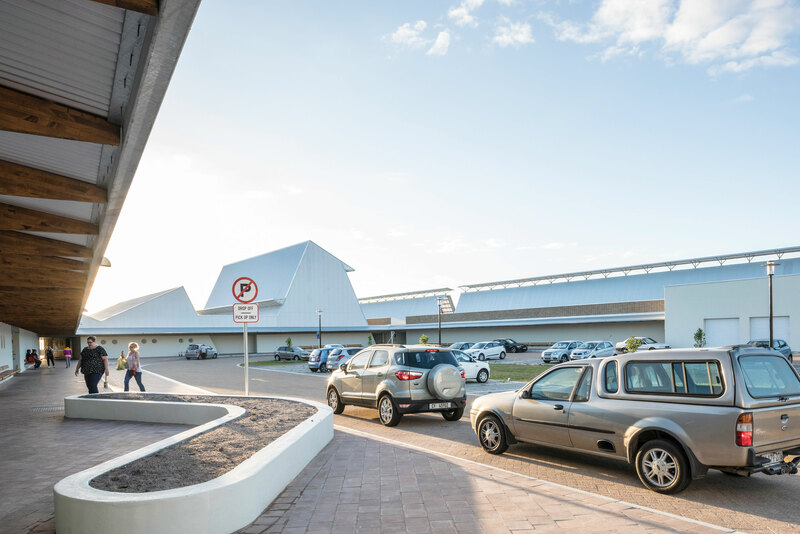 In previous projects, we have explored the use of roofed, outdoor spaces as expressions of collective form such as in the Watershed located in Cape Town’s V&A Waterfront. 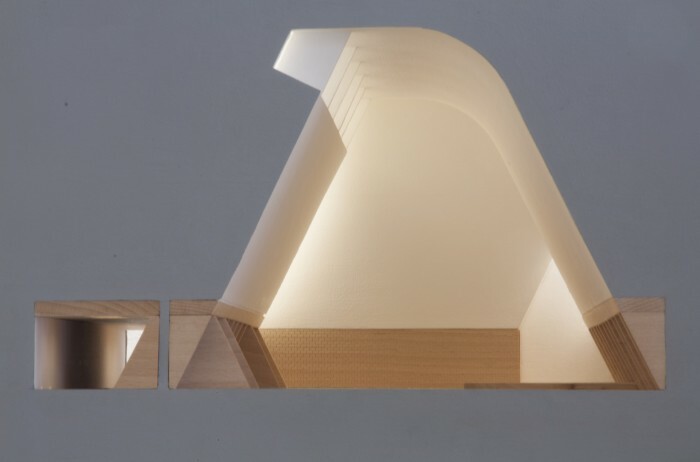 In these explorations, collective form becomes the social heart of the architecture and the origin of urban connectivity. Beyond the hall is an exercise court, which again is articulated by a horizontal canopy on three sides and open to the neighbourhood on the fourth, except this time it has an incredible view over the landscape to the mountains in the distance. Two generous stairs lead users from the court to the sport field below.